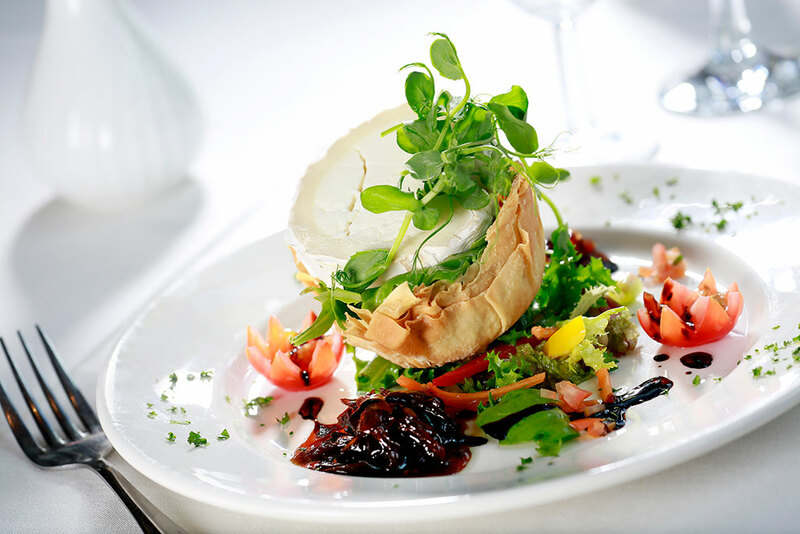 Appleby restaurant for fine dining at the Tufton Arms book a room online to go with your meal and save £5 per night. 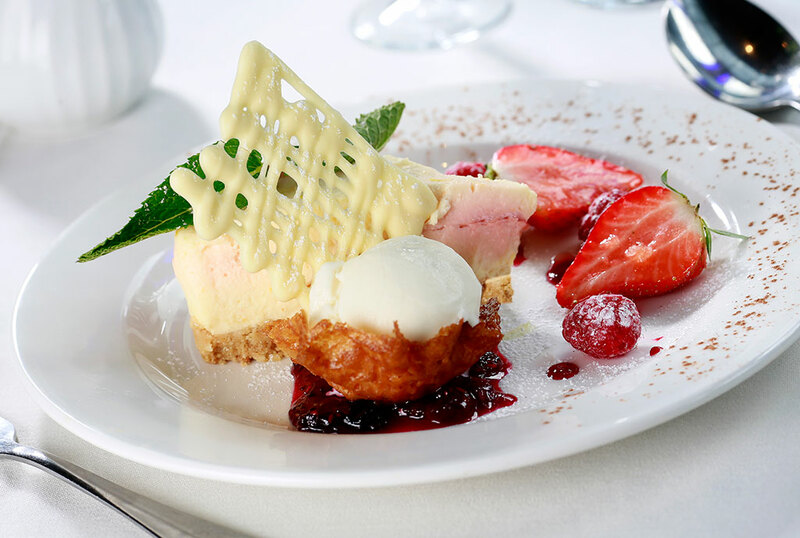 Your Appleby restaurant for fine food & wine. Built up over 25 years of service the Tufton Arms is justly proud of it’s longstanding reputation for running a noted Appleby restaurant as well as a hotel. 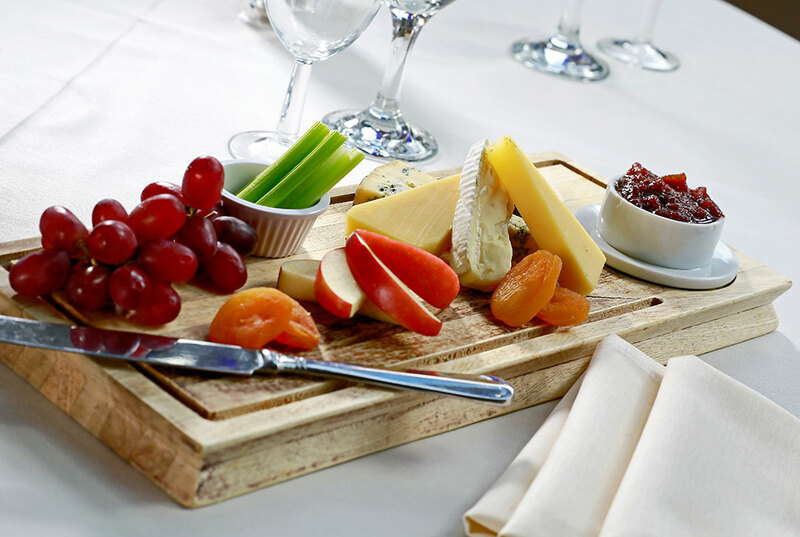 Our style is to allow good food to do the talking, and when accompanied by our award winning wine list and combined with the elegance of the Conservatory Restaurant you can be assured that we are one of the restaurants in the Eden Valley worthy of your special occasion. 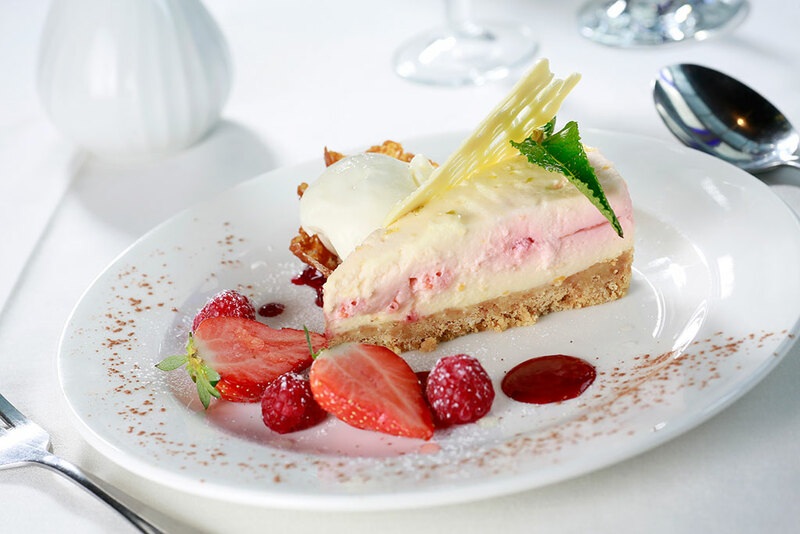 Our menus have always offered something for everyone, with fresh fish delivered daily from Neve’s our fish suppliers in Fleetwood and meat from Dowdings next door. With the newly refurbished public areas there is a choice of both informal eating and the more formal restaurant surroundings. 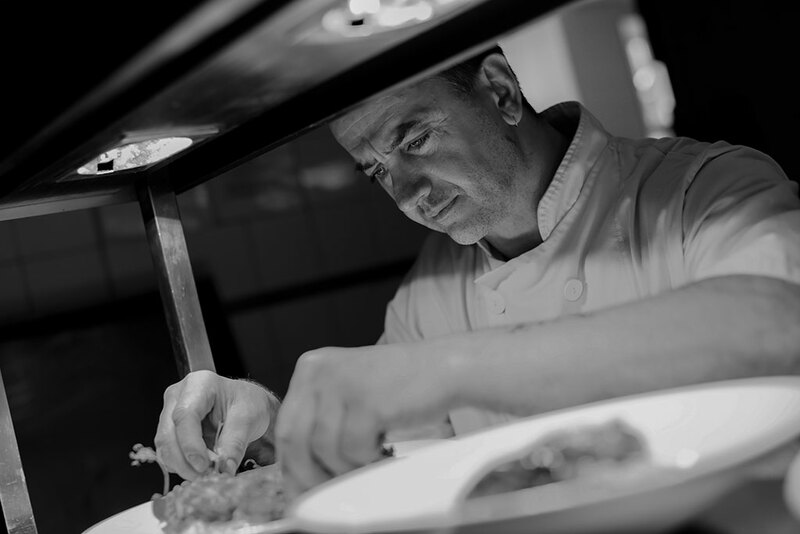 Sunday lunchtimes are still traditional and we have not abandoned our 25 year history of serving tender local beef, carved at the table from our Victorian carving trolley. Long before food miles became fashionable we have always had a policy of buying locally, provided that the quality of the produce measured up to our high expectations. Fortunately it always has, from Dowdings Cumberland sausages for breakfast and Stephensons greengrocers opposite to The Appleby Creamery producing a range of cheeses with milk from local farms. We are also source our own Grouse from Dufton Fell, pheasants and venison locally. 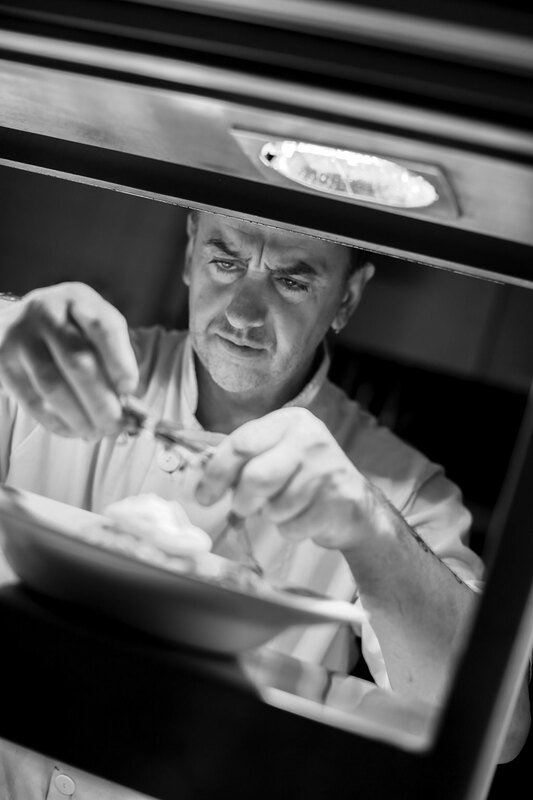 STOP PRESS – Despite the awful grouse season, we do have young grouse on the menu as usual at a very reasonable £23.95. Many thanks to Bells of Carlisle for the supply. No Appleby restaurant in the Eden Valley or anywhere else would be complete with out a decent wine list and ours will not disappoint. Nigel Milsom has a lifelong passion for wine and our wine list continues to grow, it is now supplemented by our wine shop and customers can drink bottles from the wine shop to try them out at a modest £10 charge for corkage in the restaurant. There are excellent special offers on half cases of wine why not come and try some of these with your meal. Time spent on reconnaissance is seldom wasted!! Dowdings Butchers, immediately next door to the hotel, first class. Neves Fleetwood Fishmongers, been supplying us 6 days a week for nearly 30 years! 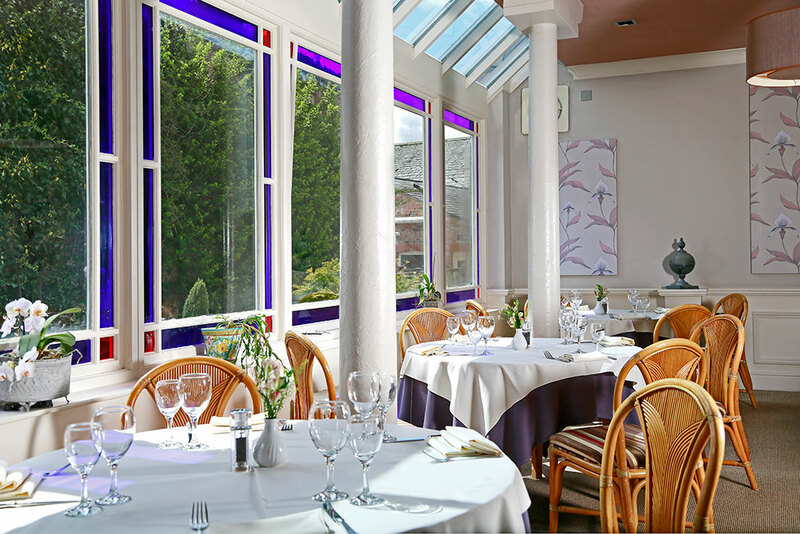 The Conservatory Restaurant, at The Tufton Arms Hotel your restaurant in Appleby, Cumbria for every occasion. 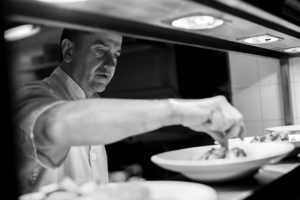 The award winning team use fresh local produce, prepared with skill and flair to create delicious classic dishes with a modern twist, complemented by an extensive wine list.